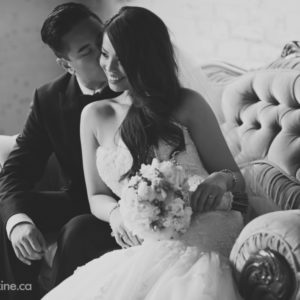 Camille and Rob weren’t high school sweethearts–they called it quits after two months. 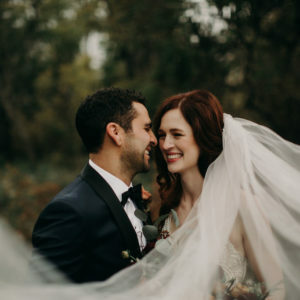 They remained friends until six years later when they backpacked across Europe together, and that’s when they fell in love. 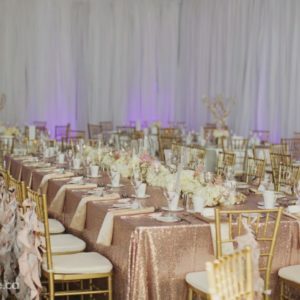 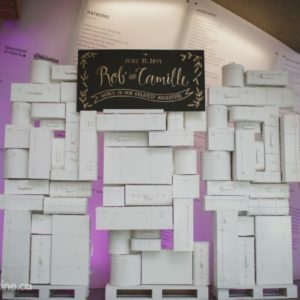 Initially Rob & Camille planned on having a destination wedding but they quickly realized how important it was to have all of their friends and family present, so they opted for a local wedding and showcased their love of travel through all of the details. 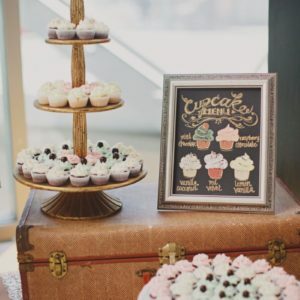 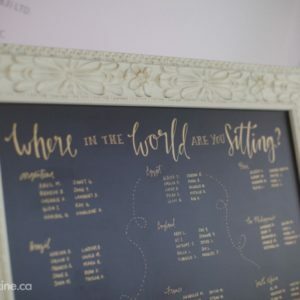 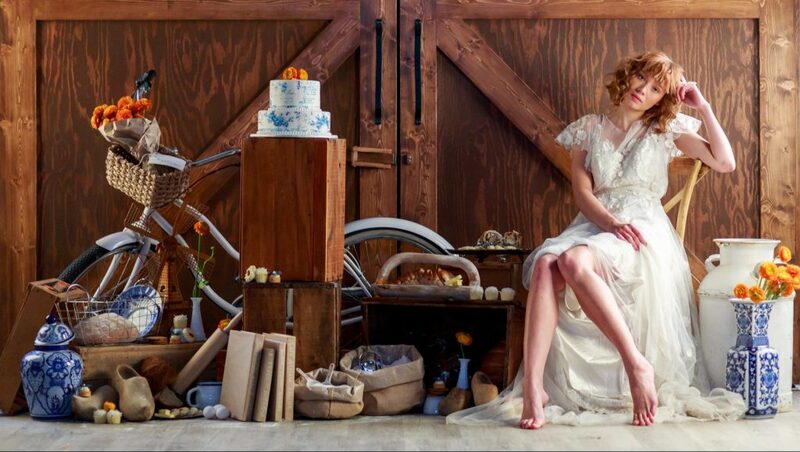 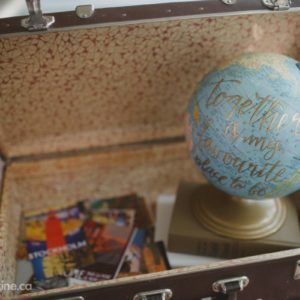 They had guests write on vintage postcards rather than a guest book, named their tables after countries they had been to or planned to visit, and used vintage suitcases as the backdrop for their photo booth. 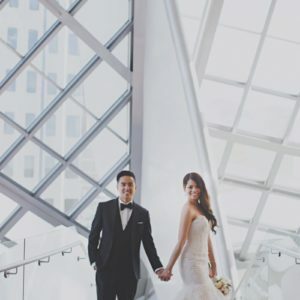 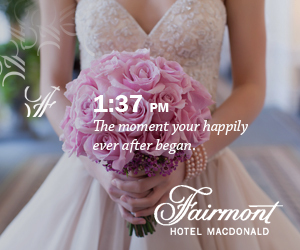 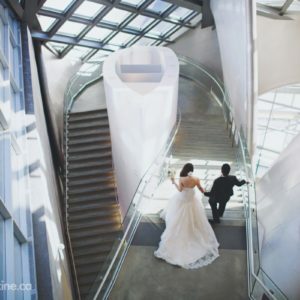 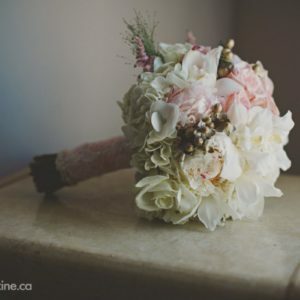 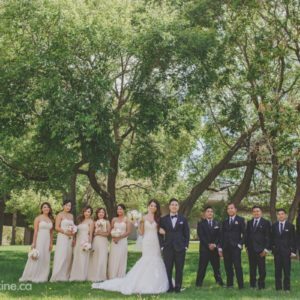 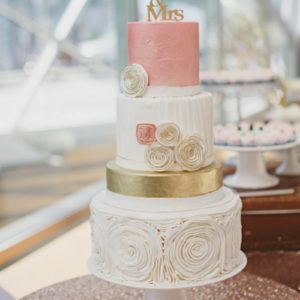 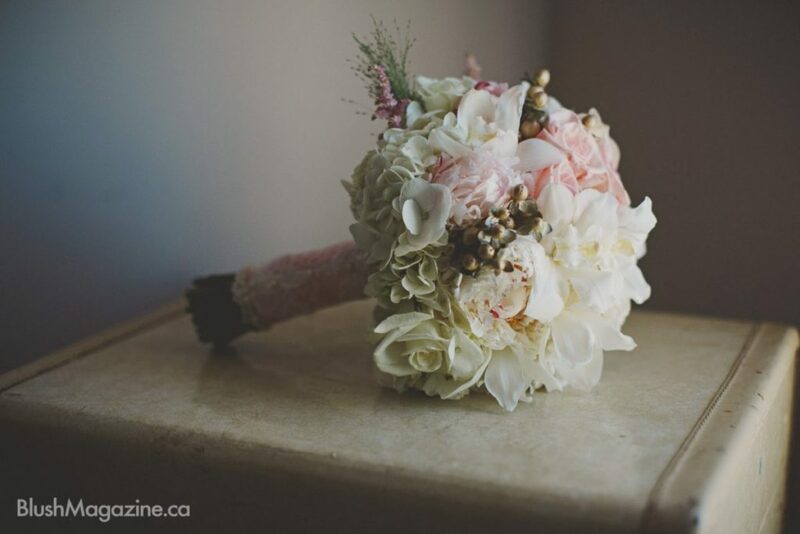 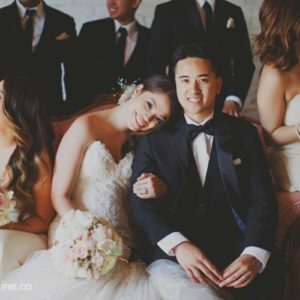 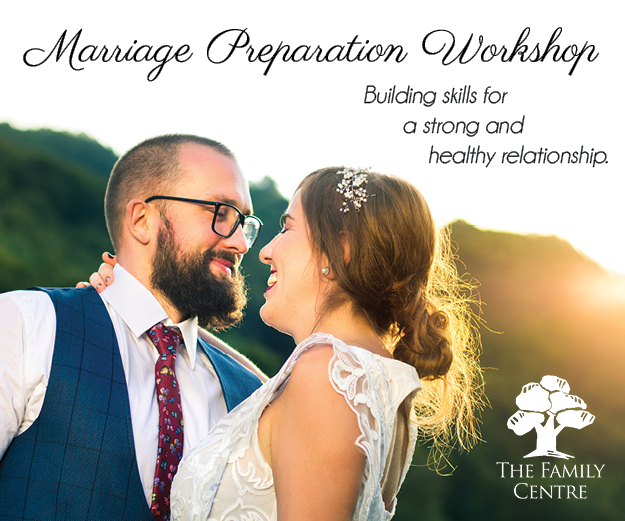 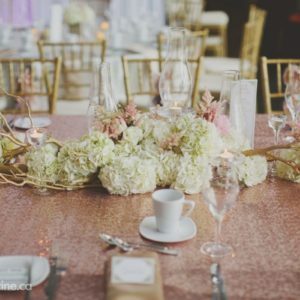 Camille and Rob also chose venues that were special to them; they often attended Sunday mass at St. Joseph’s Basilica and they have gone to Zinc in the Art Gallery of Alberta for the past three Valentine’s Days. 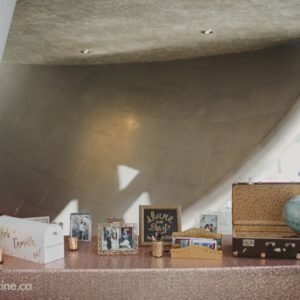 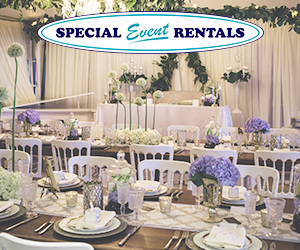 As added bonuses, Rob was excited to be wedded in the same place as The Great One, Wayne Gretzky and the AGA was a central location for all of their guests.